The Loft Wine Bar has always been a favourite hang out of mine since it first opened. I’ve liked it so much, I’ve even had a birthday function there. Established as an upmarket bar, the business has changed with the times and recently re-branded to also become a restaurant. 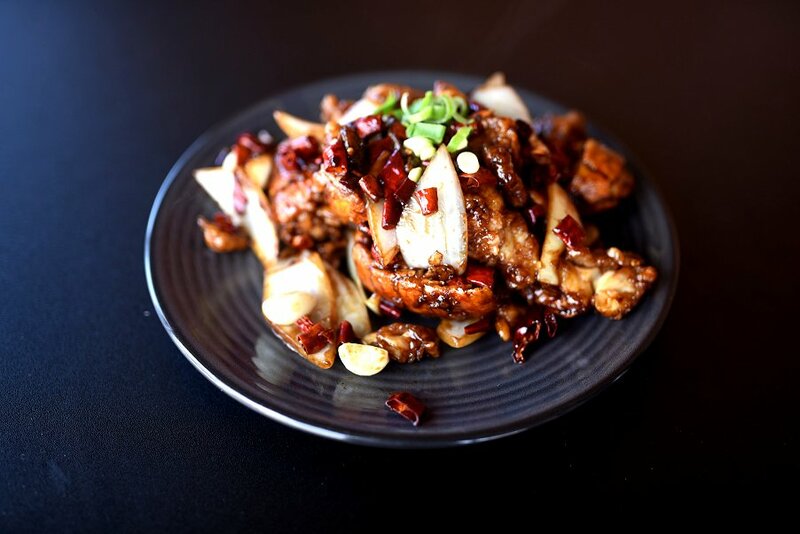 Mrs Q is the restaurant component and offers an Asian menu with influences across the region. There are exactly 26 items on their menu which is divided into starters, larger plates, sides and desserts. 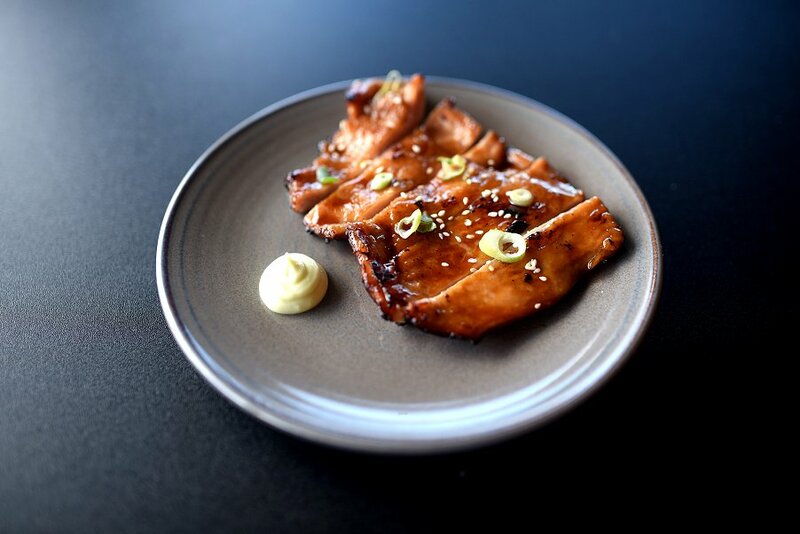 The Tori Teriyaki was a delicious looking piece of glazed chicken. The meat was firm and juicy, and there was a subtle sweetness from the teriyaki sauce. The wasabi mayo had a slight pungency and worked perfectly well with the chicken. 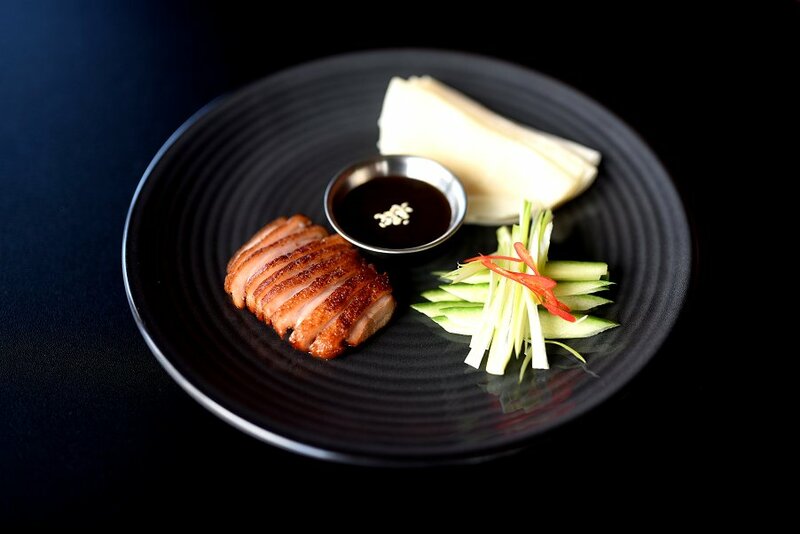 The Peking Duck Pancake is one of my favourite all time dishes. Not quite the same as someone slicing the meat off a freshly cooked Peking Duck, but this was just as good. The duck was tender and succulent with lovely smokey flavours. The pancakes were soft and firm, while the cucumber and spring onion were fresh. Wrapped up and dipped in the hoisin sauce, it was like a little piece of heaven on a plate. 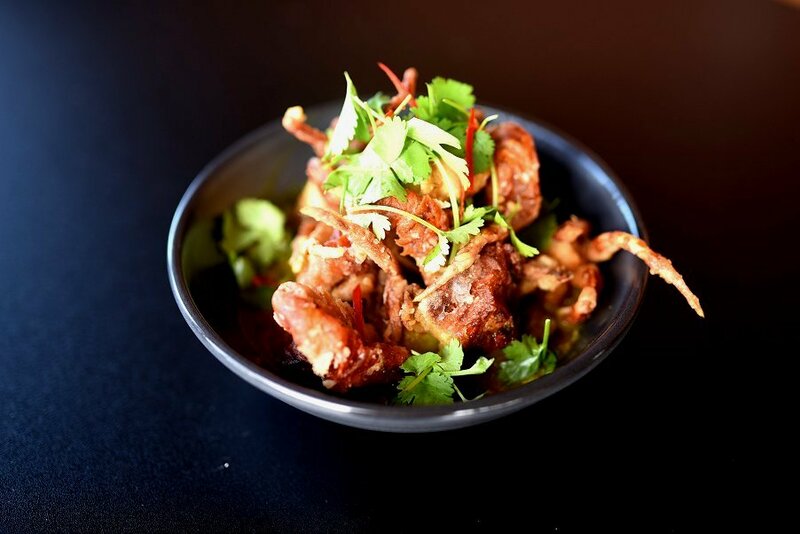 Soft shell crab is so popular these days you see it on just about every gourmet menu. The Soft Shell Crab here is amazing. Lightly battered and fried until crunchy. Underneath all the crab is a delicious green Malaysian curry sauce. The sauce had a thick consistency and was full of depth. All the elements worked perfectly together to create an exceptional dish. The Chili Bug Tail was even more amazing! The number of bug tails in this dish was more than generous, and the meat was juicy and full of flavour. While there’s lots of garlic, dried chilli and onion floating about, the dish is not hot at all. A must have dish! As I always say, no meal is complete without dessert. I went for the Lychee Panna Cotta. It’s hard to measure the wobble when it’s in a glass but the consistency was perfect. The texture was smooth and creamy, and you could taste the subtle hint of lychee. 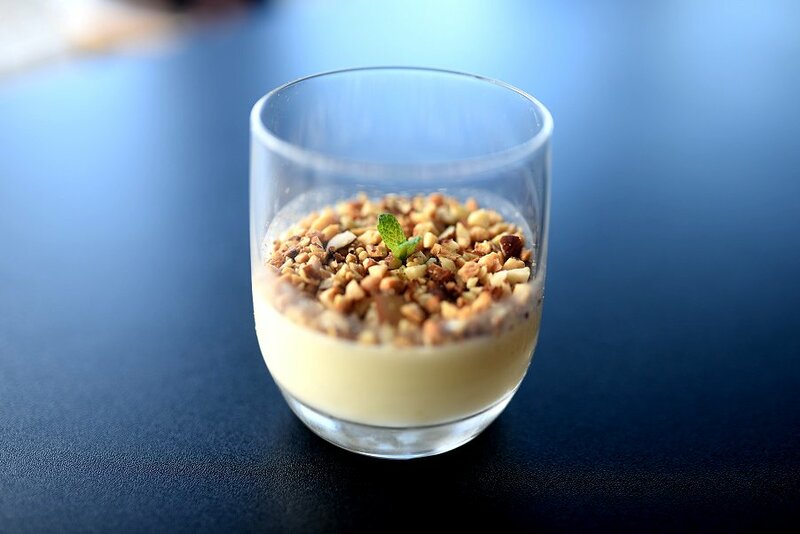 The top layer was full of nuts which gave the dessert a nice crunchy texture. The perfect way to end the meal. When I visit a restaurant and have a whole bunch of dishes, it’s very rare for all the dishes to be good. The dishes were all delicious with very little to fault. It was a beautiful day today, and sitting out on the balcony was most relaxing. The staff were friendly and accommodating, and the service was fast and efficient. The starters cost an average of $10 and the mains around $20, which is very reasonable. Mrs Q is a great addition to The Loft Wine Bar and gives me all the more reason to visit more often.